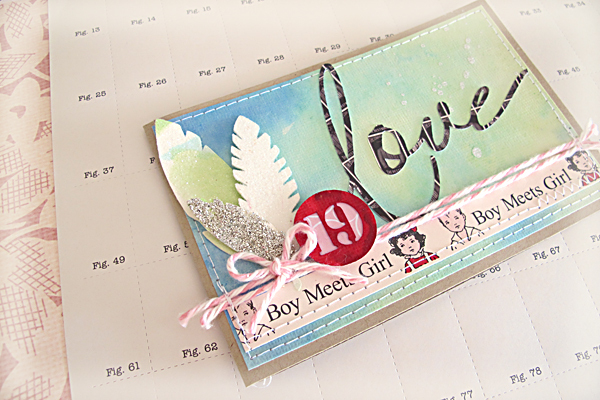 jbs inspiration: Boy Meets Girl. Girl Meets DieCut Machine. Natalie here, and I have a confession to make. I love my diecut machine. I may have declared my adoration, out loud, on more than one occasion. I'm not quite sure how I managed to scrap before it came along. And I couldn't have been happier when I heard JBS started releasing cutting files with their kits, and over at Jessica Sprague. I've eagerly collected each one, and I use them all the time, even on my non-JBS projects. They're just so versatile and there's tonnes of ways to use them. Let me show you what I mean. 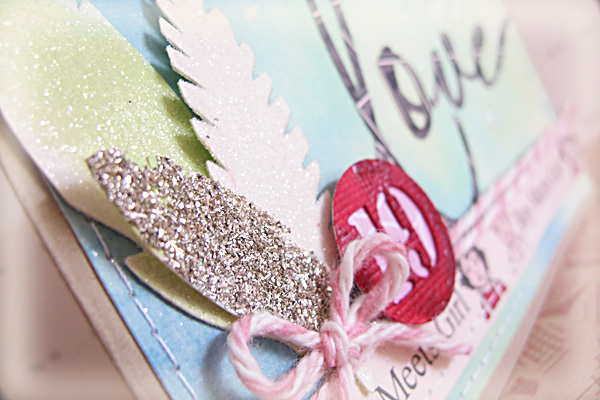 For a start I used the stars from the 'Holiday Backdrops' as a stencil to mist over. When the mist was dry I kept it in place and selectively painted in a few of the stars with the JBS Paint Dabbers. Again I waited patiently for it to dry before outlining the stars in black pen. Lastly I popped up some of the original cut-out stars with dimensional tape and put them back in their place. On a simpler note I used my favourite Whimsy Girl as an embellishment in the bottom corner with only the addition of some glitter to add pizazz! Of course, you can use your diecuts for cards too because they scale to any size you like. And on this colourful card I haven't had to use much else. They do all the hard work for you. I must have cut a few dozen of these feathers already to use for different projects and I know they're a huge hit with the rest of the DT too. But the real star of this card is the 'Love' word and Stencil Numbers. 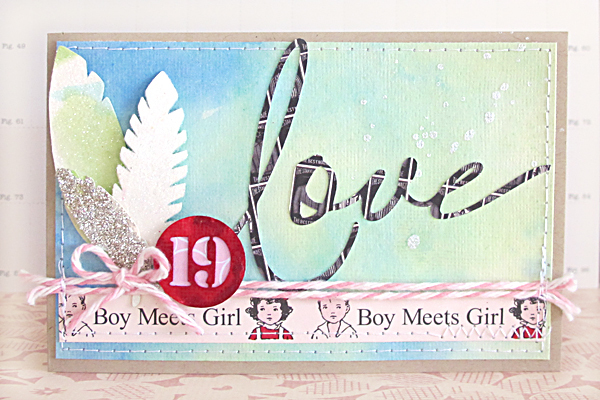 I chose '19' because that's the date of the wedding I plan on giving this card away at. But that's the beauty of die-cuts right? 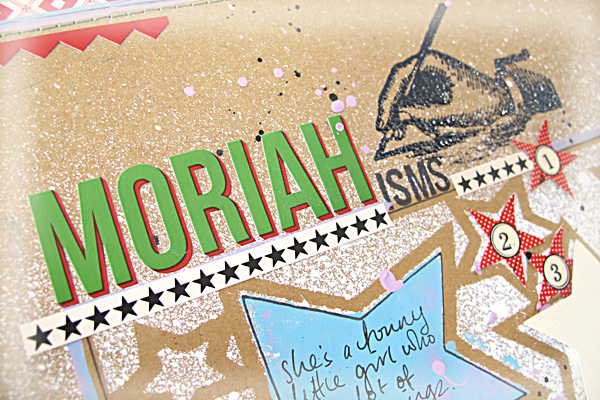 It allows you to personalise anything and you only have to cut what you need! So I hope I've left you inspired to check out the huge range of cutting files JBS have got to offer. Everything you do Natalie is a work of art! I love how you used mists with the cuts and how you embellished those feathers! Thanks girls, you're all so generous with your praise. Mmmwwah!